• March Madness' opening weekend has plenty of drama. But is there any way to bottle this past week, preserving and recreating it in late March? Think about this: Ole Miss' Marshall Henderson connected on a 3-pointer at the buzzer to force overtime in a win at Vanderbilt. Saint Mary's Matthew Dellavedova hit a shot to beat BYU at the buzzer in Provo. Butler's Roosevelt Jones sank a floater off of a steal to shock Gonzaga at the horn at Hinkle. And I'll toss in Bradley's Will Lemon Jr., who beat Missouri State on a final shot, too. Those were last shots, but there were also thrilling final moments in Syracuse's win at Louisville, Michigan State's defense of Ohio State at the end of its victory in East Lansing, and Wichita State successfully defending Creighton on two 3-point attempts to preserve a win. • The more I watch the final possession in the Gonzaga-Butler game, the more I don't understand why David Stockton didn't throw the ball toward his own basket rather than in the middle of the court. If the ball goes to that end, and even if it gets stolen, then Butler would have had to go nearly 90 feet and someone like Jones would have had to take a 3-pointer, not a floater in the lane. The Gonzaga meltdown on the final possession was reminiscent of the 2006 Sweet 16 loss to UCLA in Oakland. In that game, the Zags would have won if J.P. Batista hadn't been picked when he brought the ball down, allowing Jordan Farmar to steal and feed Luc Richard Mbah a Moute for a layup and a one-point lead with 8.6 seconds left. That play ultimately propelled the Bruins to the first of three consecutive Final Fours. Few can forget Adam Morrison crying in disbelief after that game. • How did Texas A&M beat Kentucky again at Rupp? The Aggies have lost their last two games to Florida at home and at Alabama. Elston Turner, who went for 40 against Kentucky, scored four against Florida, going 1 of 10 from the floor. He scored 13 against the Tide. • Kentucky's defense has been tighter since the loss to Texas A&M. The Wildcats gave up 65 points to Tennessee and 53 to Auburn, including shutting down the Tigers on 3s (0-for-15). • Playing Purdue in a regional CBS game may have sounded like a good plan for West Virginia last year. But it made no sense for the Mountaineers to wedge that game in between Big 12 contests, and it looks even worse three days after losing at Iowa State. West Virginia got hammered 79-52 to fall to 8-9 overall and is currently 1-3 in the Big 12. A non-conference game in mid-January or mid-February should have purpose, especially if it's on the road. • I was starting to be intrigued by Washington's 4-0 start to the Pac-12 (with three road wins) until the previously Pac-12-winless Utah Utes won in Seattle. Now, it appears the Huskies' wins were a product of a soft start to the conference schedule. • The Syracuse-Louisville rivalry has been one of the better matchups in the past five years. It will take a hiatus next season when the Orange go to the ACC, only to resume in 2014-15 when the Cardinals join the league, too. When they do play in the ACC, can we call it a Big East game, because that's what it will feel like? • When the season ends, don't be surprised if it looks like Larry Eustachy walked into the best situation of the first-year coaches. Colorado State was a ready-made conference contender and NCAA team when Eustachy took over. • I don't understand how San Diego State scored only nine points in a half at Wyoming. I know Xavier Thames was hurt, but the Aztecs simply didn't show up. • Wyoming gets credit for making me eat my words from our "First Take" show last Friday. The Luke Martinez brawl story and his subsequent suspension appeared to have zapped the energy out of the Cowboys in a loss at Fresno State. But Wyoming locked up on defense, stunned the Aztecs and are right back in the mix. Larry Shyatt deserves praise for getting this team refocused quickly. • The most anticipated coaching matchup this week is in Manhattan, Kan., where Bruce Weber and Kansas State have a legitimate chance to upset Kansas and fuel the rivalry between he and Kansas coach Bill Self just a wee bit. • North Carolina and Kentucky will make the NCAA tournament. There is too much mediocrity in the ACC and SEC, and both teams have too much talent to completely fold. We've seen flashes this past week of the potential in UNC's win over Maryland as well as Kentucky's win over Auburn. Neither team has a true leader, and both teams still make plenty of mistakes on the defensive end and, at times, in shot selection. But I'll be surprised now if either misses the field. • I love that Harvard played Memphis close on Saturday. This was good scheduling by Memphis' Josh Pastner to give his team a challenging game in the middle of Conference USA play. The majority of teams in CUSA won't give the Tigers as many issues as Harvard did over the course of 40 minutes. • Arizona State coach Herb Sendek wasn't a bad coach a year ago. He didn't have Jahii Carson -- he was supposed to, but Carson was ineligible. It's about players. • Criticizing Tom Crean for the blow-by handshake with Bo Ryan was all in good fun after Indiana lost to Wisconsin last Tuesday. But Crean was classy with his Saturday tweet celebrating "College GameDay" at Butler and what it means to the state to have Indiana and Butler recognized nationally within a three-week period. • I can't imagine how down Iowa coach Fran McCaffery would have been if his Hawkeyes had blown the Wisconsin game after failing to close out close games against Indiana and Michigan State at home. • Louisville fans are a passionate bunch, and I love it. I had more reaction to my tweet that Michigan's guards Trey Burke and Tim Hardaway Jr., were the top backcourt by a nudge over Louisville's Russ Smith and Peyton Siva than any other I have posted in the past few weeks. • Congrats to St. Bonaventure for winning at Temple, for the first time ever, in what is the Owls' final season in the A-10. The Bonnies get picked on for being in a remote outpost in New York. Yet, they have held their own in the conference as evident by winning the league tournament last March. Good for the Bonnies to stand up and be noticed yet again with this final sendoff to Temple. • The most befuddling result of the weekend may have been Rhode Island winning at Saint Louis. • Michael White was an out-of-the-box hire at Louisiana Tech. The Bulldogs are 7-0 in the WAC and appear ready to push Utah State and New Mexico State out of the favored status perch. • This Texas season has been probably Rick Barnes' most frustrating in Austin. The Longhorns have had multiple chances to win marquee games and, outside of North Carolina at home, have swung and missed. The Big 12 winless 'Horns get Myck Kabongo back on Feb. 13, but it's hard to believe there will be enough time or games left for Kabongo to make enough of a difference for his team to make a tourney run. • Put Mark Lyons in the category of most important one-year players recently after he lit up Arizona State in the rivalry game to keep Arizona on Oregon's heels. • Xavier hasn't played Butler or VCU yet, but the Musketeers are still undefeated in the A-10 after a rocky non-conference. • Does it seem like Marquette always plays late-possession games in the Big East? • Wichita State coach Gregg Marshall told me having forward Carl Hall return to the team was like getting an appendage back. You could see why, as Hall was such a key piece in the Shockers' win over Creighton. His presence inside and ability to get to the line was a difference. • Creighton forward Doug McDermott has so many ways to score that I see him successfully finding a rotation spot on an NBA roster. • I saw Fran Fraschilla tweet this out, but he's onto something about the Sunflower State. The three atmospheres at Kansas, Kansas State and Wichita State have to rank up there with any state in the country. If they're all full -- and most of the time they are -- then each venue can rock. • If you thought Phil Pressey was Missouri's most important player, you may have been wrong. In my opinion, it is clearly Laurence Bowers. The Tigers aren't the same team without him, losing badly at Ole Miss and Florida without his inside presence. • Florida versus the field in the SEC for the regular-season and conference tourney titles? I'll take Florida. Propose the same scenario for Kansas in the Big 12, and I'm taking Kansas. Let me start with a disclaimer and say that I'm a Wooden Award voter. I know the omissions on the midseason Top 25 list won't win the national player of the year award. At this juncture, it looks like a three-person race for the honor, with Duke's Mason Plumlee, Creighton's Doug McDermott and Michigan's Trey Burke in the mix. But I must add two players who were missed, but who made my ballot: Indiana's Victor Oladipo and Gonzaga's Kelly Olynyk. I've been touting the impact of Oladipo throughout this season. He is a game-changer. He makes winning plays and has altered the way Indiana plays the game. Oladipo's energy is infectious. He reads the passing lanes and creates points off turnovers. He is averaging 13.3 points and 5.9 rebounds, has picked off 35 steals, and is shooting nearly 48 percent on 3s. But it is his ability to take Indiana to another level that has changed the Hoosiers. Indiana will win the national title if Oladipo is heavily involved. He is as integral to this team as any other starter. Should he be on the Top 25 list? Yes. And if he continues to play in the same manner, Oladipo must be included on some All-American lists at season's end. Olynyk would be my choice from Gonzaga if you had to choose one. I'm not sure another player has come back from a redshirt year and changed his body as much as Olynyk has, while becoming more skilled and productive. He gives the Zags one of the toughest matchups in the country because he can make a face-up shot and put the ball on the court and drive, and he also has post-up skills. Olynyk leads one of the most versatile teams in the country in scoring (17 points per game) and is a solid rebounder (6.6 per game). He has handled the challenges in the WCC. Olynyk scored 33 points at Santa Clara and put up 17 points in the first half against rival Saint Mary's on Thursday night, finishing with 31. He has scored consistently in wins over Oklahoma State (21 points), Baylor (21), Kansas State (20) and Washington State (22). I'm not sure how anyone watching Gonzaga wouldn't see Olynyk as the team's most valuable player. He may end up being one of the top forwards in the country, positioned next to Plumlee and McDermott on a first-team All-American list. He is that important and has been critical to the Zags' sensational start. I'm quibbling on two players, but they should have been given their due for the work they've done midway through the season. Editor's Note: Shaka Smart announced Wednesday afternoon that he will not take the Illinois job and will remain at VCU. Shaka Smart may like living in Richmond. He might really enjoy being the head coach at VCU. He actually may want to stay put. Two coaches who know exactly what he's going through as he mulls over a possible offer from Illinois are Gonzaga's Mark Few and Butler's Brad Stevens. Both coaches could have had their pick of jobs recently. But they have stayed for the very reasons that might keep Smart at VCU. They each got significant pay raises, which provided longevity and security. Both love living and working at their respective spots in Spokane (Gonzaga) and Indianapolis (Butler). "The most important thing and the advice I always give to somebody is that you have to make a decision that is for you and your family,'' said Stevens. "And that may not be the same for everybody. Stevens genuinely loves his situation at Butler, and he loves working for athletic director Barry Collier. It would take a Herculean job to extricate Stevens from the program. He is now well-compensated financially, too. Few has had countless chances to leave Gonzaga. But he is native to the area and has no desire to start over somewhere else. Smart is from the Midwest but has been a bit nomadic as an assistant, and he has recruiting ties to the Southeast, too. Smart hasn't hid his affinity for VCU, especially after the Rams reached the Final Four, and he was compensated well for that run. The Rams, who've had a revolving door among quality head coaches (such as Smart's predecessor, Anthony Grant) gave Smart an eight-year deal after the Final Four. Illinois certainly offers a high-profile job in a fertile recruiting ground. There's also a comfort in knowing that quality NCAA-bid type games are plentiful in the Big Ten. If Smart turns down Illinois, he's making a Stevens/Few-like commitment to VCU. In the NCAA tournament this past weekend, the Rams knocked off Wichita State in the second round and lost to Indiana in the third round in Portland, Ore.
"The biggest mistake is that everybody tries to project their own feelings and own thoughts and own values into what you think a guy should do,'' said Few. "It comes down to what that individual person wants in life. Few said that advancing to the NCAA tournament, which VCU has done in consecutive seasons under Smart, is paramount to the definition of a good job. "If you're winning and advancing to the NCAA tournament and your teams are good enough to go far in the tournament, then what else do you need?'' Few said. Few could have gone to Oregon. Indiana made a run at him, too. There were others. Gonzaga hasn't won a national title, but the Zags have been in the NCAA tournament every season he has coached, which is more than those jobs can claim. The favorite: Gonzaga, winner of 11 straight regular-season titles, was the favorite in the preseason and nothing has changed heading into conference play. The Zags have rebounded well from consecutive losses to Big Ten teams (at Illinois, vs. Michigan State) with a solid stretch that includes wins against Arizona and Butler. And a 20-point win over Notre Dame in November now looks even more impressive after the Irish took apart Pitt earlier this week. The Zags still have the most experienced big man in Robert Sacre and one of the toughest matchups in Elias Harris on the wing. The guard play is erratic, but freshman Kevin Pangos has the potential to go off with a flurry of made shots. The league schedule is loaded at the front with road games at Saint Mary's and BYU in the first half of the schedule. But that means Gonzaga will be able to finish strong with both contenders at home. Other contenders: BYU has the talent to win the WCC, but coach Dave Rose is concerned that none of his players have played in any of the league's unique gyms. Then again, none of the WCC players have experienced the raucous Marriott Center, either. Fact is, the Cougars are a different team now with UCLA transfer Matt Carlino as the do-everything guard. He is a playmaker and is averaging 17.3 points and 4.8 assists in the first four games of his college career. If Carlino had been eligible from the start, BYU would've likely won its opener at Utah State and at least come closer against Wisconsin. The Cougars have enough size inside to be disruptive with Noah Hartsock and Brandon Davies and wing Charles Abouo has had his moments. Gonzaga is the favorite but if BYU were to win the WCC in its first season, no one should be stunned. Saint Mary's isn't as balanced and doesn't have the imposing force (Omar Samhan) it did during the Sweet 16 run of 2010, but the Gaels do have two blowout wins over Missouri Valley contenders Northern Iowa and Missouri State. This team can't be dismissed. For SMC to pull it off, it will need an exceptionally consistent season from Rob Jones inside and Matthew Dellavedova on the perimeter. Kenton Walker II has been a solid complement to Jones as well, but guards Clint Steindl, Stephen Holt and Jorden Page must have their moments for the Gaels to be a true contender. Player of the year (so far): This is a tough one. The race is wide open. You could make a case for sharpshooting freshman Kevin Pangos, but ultimately Elias Harris is the Zags' star and has the most potential to post a double-double every game. The sleeper MVP pick could be Carlino. The early returns are strong, as he's already made a significant impact in Provo. If BYU wins the WCC, Carlino will likely be in the mix. Same goes for Rob Jones if Saint Mary's can end the Gonzaga hex. Freshman of the year (so far): OK, this award can definitely be reserved for Pangos. The Canadian came in highly touted and hasn't disappointed one bit, leading Gonzaga with 14.9 points per game and 43 percent 3-point shooting. No other player in the league can go off in stretches the way Pangos has so far this season. Wins to brag about: LMU over Saint Louis and UCLA; Gonzaga over Arizona; Santa Clara over New Mexico and Villanova; Saint Mary's over Northern Iowa and Missouri State; BYU over Oregon. Losses that sting: Pepperdine to Cal State-Bakersfield; BYU to rival Utah State; Santa Clara to Houston Baptist and by 38 to Washington State; San Francisco to Holy Cross. Pleasant surprises: LMU and Santa Clara had erratic but solid starts to the season that proved both schools could be tough outs throughout the conference season. BYU doesn't appear to be headed for a down cycle despite the loss of Jimmer Fredette and Jackson Emery. The WCC continues to schedule up and get quality nonconference games, many of which its teams are winning (see above). Biggest disappointments: Portland coach Eric Reveno is one of the most solid individuals in the coaching business, but the Pilots have lost their core group of guys and are really struggling. They've lost 11 of their past 12 against a tough slate. Loyola Marymount wins at UCLA and beats Saint Louis yet can't find any consistency. There's no shame in losing to Middle Tennessee or Harvard this season, but one would think the Lions could've taken out North Texas and Morgan State. Santa Clara's Marc Trasolini suffered a season-ending injury in September, which has really kept the Broncos from reaching their full potential. Will Gonzaga finally reach the Elite Eight for the first time since 1999? The Zags have had a few Sweet 16s, but haven't reached a regional final since that initial magical run nearly 13 years ago. Gonzaga has a shot this season if Sacre can be the strong man in the post every night. There are decent rotation players to complement him, but he has to raise his game to be a more dominant player in March. Which team not named Gonzaga, BYU or Saint Mary's could crack the top three? LMU hasn't shown the consistency needed to be a real contender, so the team that might have the goods is Santa Clara. The Broncos' Kevin Foster is talented enough to carry this team to some big wins and coach Kerry Keating has now been in this league long enough to understand the nuances of winning on the road. Why should BYU be looked at as a possible favorite to win the conference tournament? The Cougars' core is tourney-tested and that'll help, but maybe a hidden reason will be the crowd. The Brigham Young faithful have a history of traveling well to Las Vegas and there is also a strong Cougar alumni base in the area. Don't be shocked if BYU matches or surpasses the famed Gonzaga travel party at the Orleans Arena, making BYU the de facto home team. 1. Gonzaga: The Zags may be just too deep for everyone else in the league. 2. BYU: The Cougars can win the title, but it might come down to three straight road games down the stretch (USF, SCU, GU). 3. Saint Mary's: The Gaels have been here before. They aren't expected to win the title, yet they'll be pushing the favorite at the end. 4. Santa Clara: Kevin Foster is a star for the Broncos and they've developed a legit home-court presence. 5. Loyola Marymount: The Lions have top-three potential, but lack the overall depth to get it done. 6. San Francisco: The Dons have been a bit of a disappointment so far, so finishing in sixth is probably just right for this crew. 7. Pepperdine: This is a complete rebuilding situation for the Waves under first-year coach Marty Wilson. 8. San Diego: Meanwhile, the rebuilding project continues for embattled coach Bill Grier. 9. Portland: The Pilots could easily climb a few spots eventually, but it's hard to put them any higher during this 1-11 stretch. During the conference alignment feeding frenzy, one of the best moves was made by a league that doesn't play in the Football Bowl Subdivision. And one team may benefit more than most. The West Coast Conference's quick decision to offer a soft landing spot for Brigham Young as it sought football independence may ultimately help Saint Mary's more than any other school in the league. The Gaels, who have fancied themselves as Gonzaga's chief rival, needed another team to chase, to compete with to enhance their constant quest for an improved conference power rating. The Zags will always be the team to chase in the WCC. Gonzaga plays a national schedule, recruits two-thirds of the country and internationally, and isn't going to take a dip anytime soon. But Saint Mary's needed someone else to give the Gaels a chance to pick up power-rating points within the conference and earn important status points among the selection committee by winning conference games. Sure, Santa Clara and San Francisco seem to be on the rise, but the Gaels needed another national program. BYU can deliver just that. The Cougars will slip without Jimmer Fredette and Jackson Emery and won't be a top-25 team, let alone a lock for the NCAA tournament this season, but they will be in the mix for a bid and won't fall too far under Dave Rose. WCC commissioner Jamie Zaninovich is grinning over getting all six combinations of the Gonzaga-Saint Mary's-BYU games on ESPN's networks in its conference package. The league needed to diversify its profile programs to ensure there was more depth. Zaninovich is touting the Gaels as perhaps Bennett's best team, comparing this squad to his Sweet 16 team from two years ago. Bennett isn't going to go there yet. Gonzaga is still the team to beat with Elias Harris, Robert Sacre, Sam Dower, Kelly Olynyk and Ryan Spangler making up possibly Mark Few's most talented and certainly deepest frontcourt during his tenure. The backcourt of Marquise Carter, Kevin Pangos, Gary Bell Jr. and David Stockton is still relatively inexperienced, but the potential is there for this team to once again make a run. Saint Mary's has experience returning in Matthew Dellavedova and Clint Steindl, but it's the Gaels' frontcourt that could be the difference for them. Getting Jordan Page back after a season-ending knee injury last season is critical if SMC wants to hang with the Zags and Cougars. And Rob Jones now has help inside with Mitchell Young, Kyle Rowley and Brad Waldow. Bennett said if going from the Sweet 16 to not making the NCAAs but still playing for the league title is a dip, then so be it. Competing for the league title is where the Gaels want to be every season. Now they've got even more competition, which is even better for this team and the league. The Cougars can offer up Brandon Davies, Stephen Rogers, Noah Hartsock, Ian Harward and Nate Austin, while UCLA transfer Matt Carlino will help on the perimeter once he's eligible in December with Charles Abouo and Brock Zylstra. "The toughest challenge yet for us," Rose said. "They are both really good and we won't have a player or a coach that has competed in their buildings. We have no experience at all to take on the road." That won't always be fun for the Cougars, but it should be big things for the West Coast Conference. "Everybody's got people back," Few said. "Its literally the best the league has ever been -- and I've been in it 23 years -- with the depth of teams." 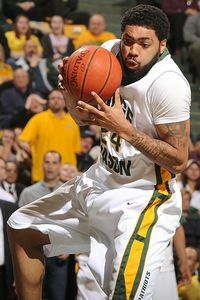 Rafael Suanes/US Presswire Ryan Pearson looks to lead Mason to another run to the NCAAs. 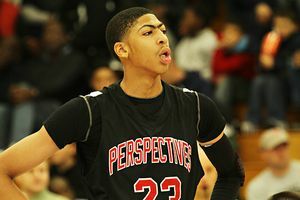 Brendan Nolan There seems to be little doubt that freshman Anthony Davis will have a major impact for UK.